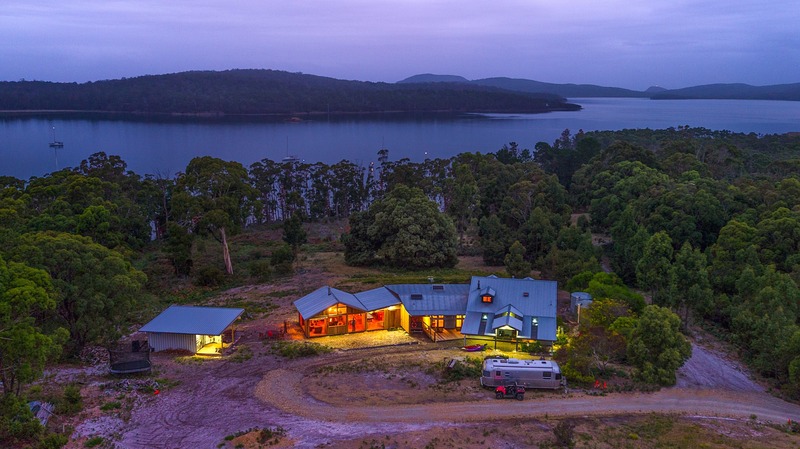 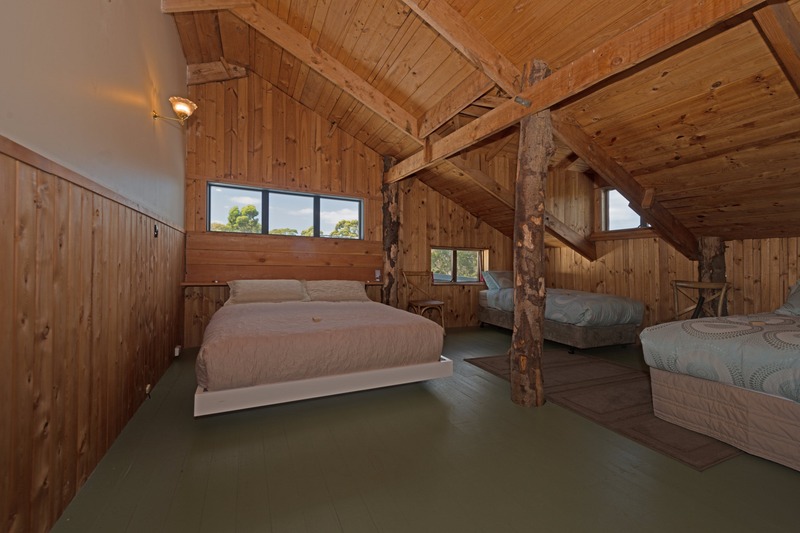 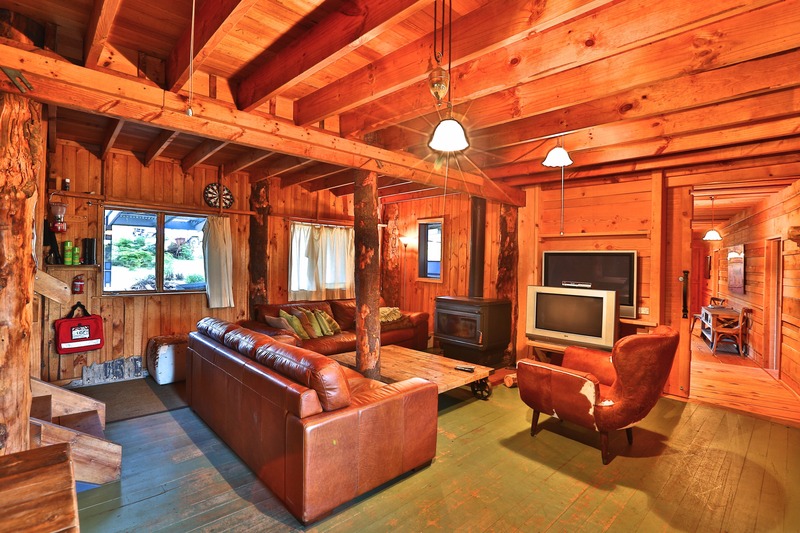 Set amongst 860 acres of pristine bushland in remote South Bruny is The Lodge, a rustic timber chalet on the hill above Oyster Cove on Mickey’s Bay. 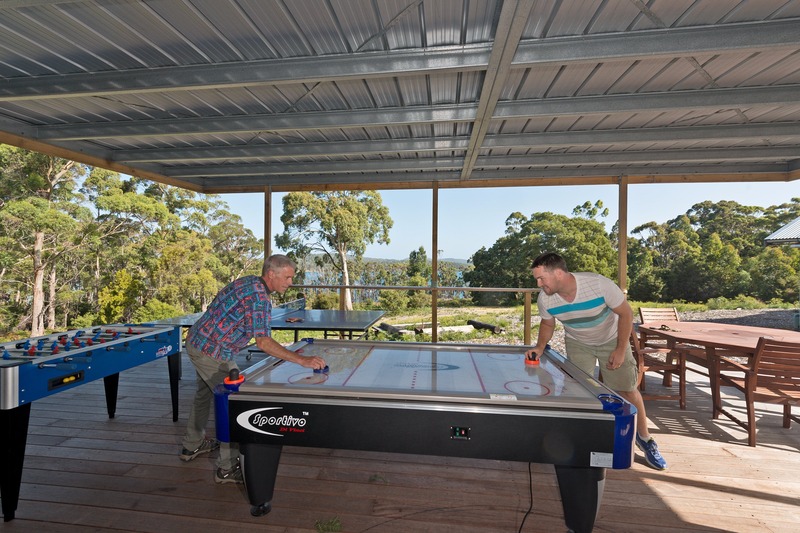 The Lodge offers a unique experience on Bruny Island; it combines spectacular native bushland with comfortable, well-equipped accommodation, built to house that corporate retreat or extended family get-together. 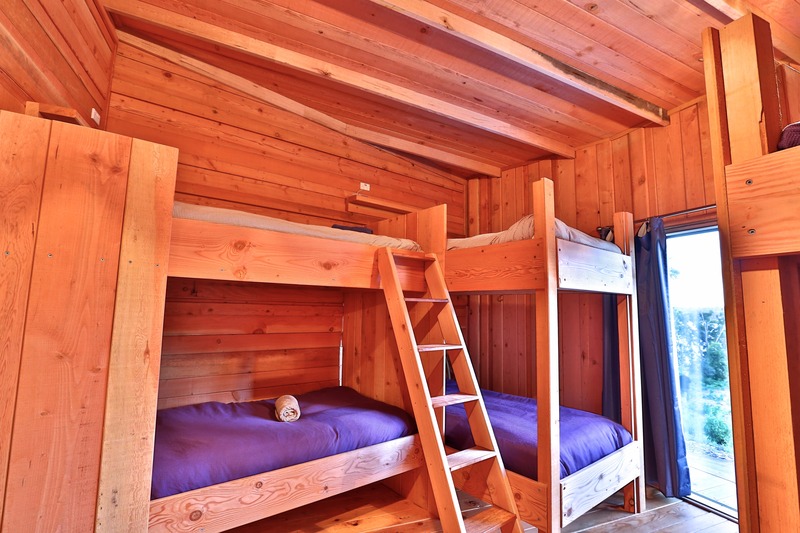 This character-filled timber cottage has five bedrooms and comfortably sleeps 24, with four bathrooms, five toilets and a commercial kitchen; which makes it perfect for self-catering if you want to bring your own provisions, or we can organise a local caterer if you prefer. 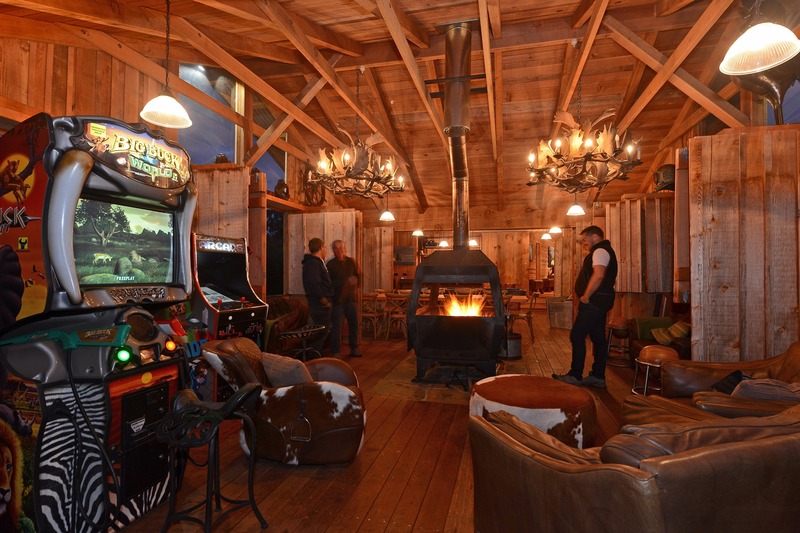 There is a well-appointed bar and games room with a central cast iron fireplace for winter, with the option to roll back the walls and take in the magnificent scenery during summer. 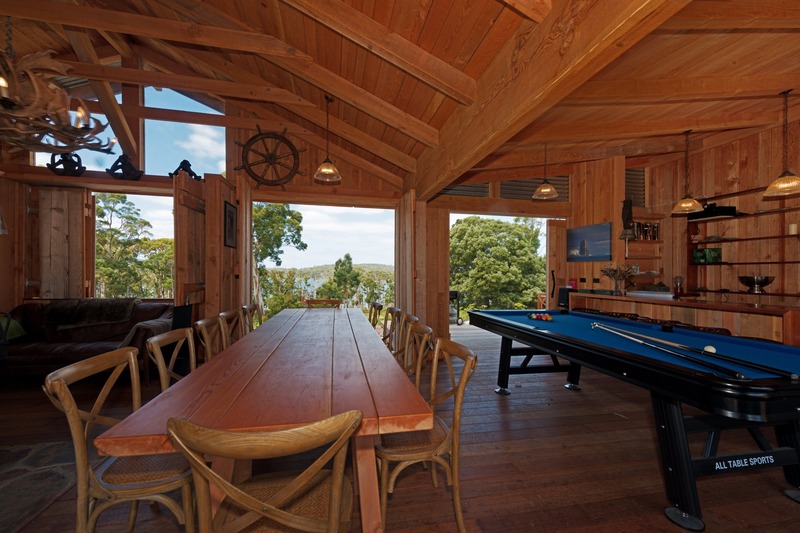 The Lodge provides private access to kilometers of pristine coastline along with canoes, kayaks, and bicycles to explore it. 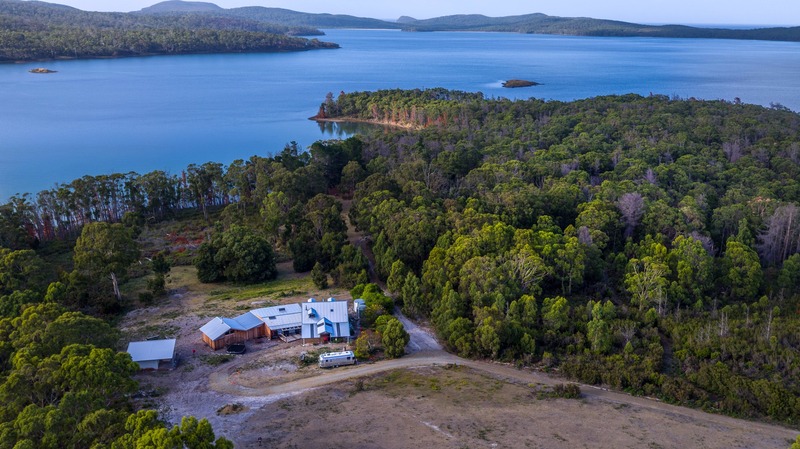 The sheltered waters of Oyster Cove – just a few hundred meters from the Lodge’s front door – are perfect for fishing, paddling, and other water-based activities. 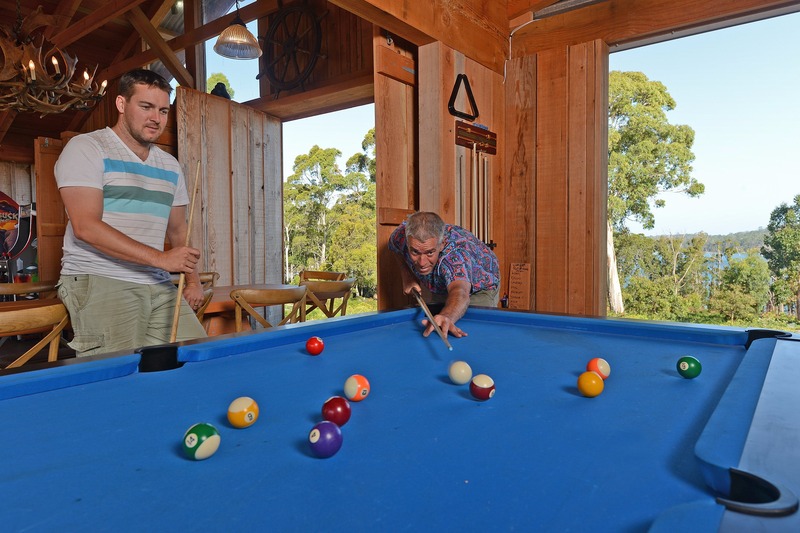 Your team or family will be amazed by Bruny’s natural beauty and brought closer together in a truly unique shared experience.